Rick Romero (left), from the city of Spokane, and Mark Anderson, with Spokane Public Schools, envision joint projects to meet both their needs. There's no question that Spokane Public Schools, facing growing enrollment and a mandate to reduce class sizes, needs to build more schools. For Mark Anderson, associate superintendent for Spokane Public Schools, the question is, where? That's what brought Anderson to the city of Spokane a few months ago to discuss the possibility of building a new middle school at a site on North Foothills in northeast Spokane. Anderson met with Rick Romero, who works on special projects for the city of Spokane. Anderson explained that the district needs to build three additional middle schools in the coming years, part of a plan the school board approved to move sixth grade in the district from the elementary level to the middle-school level. "As we continued to talk," Romero says, "it started to become apparent that we had a lot of common needs." The city has underused and surplus property. It has a desire for more sports facilities, more spaces for parks and recreation, and expanded and modernized libraries. The school district, of course, could use some of that property, and the sooner the better. "We said, 'What if we partnered?'" Anderson says. It was an uncommon idea. But it could prove beneficial for Spokane and its taxpayers. Since then, the city and the school district have brainstormed ideas for joint use of property. 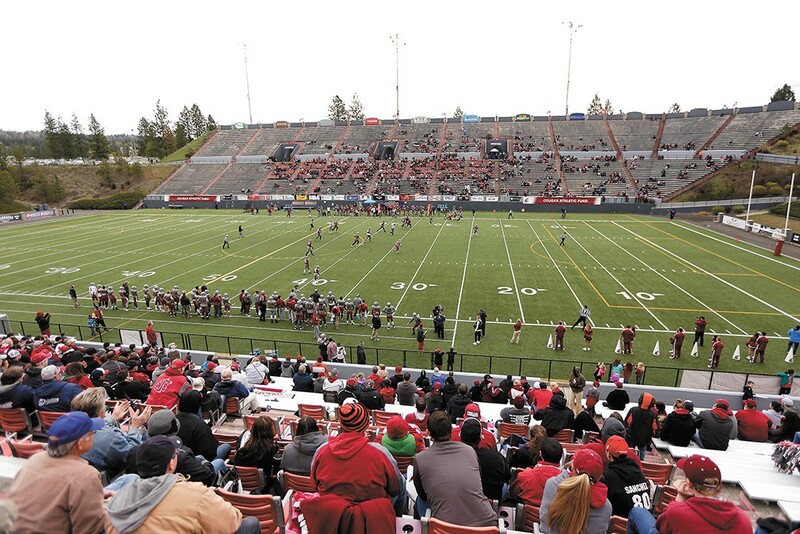 Some of the ideas could transform parts of the city: They're considering downsizing Joe Albi stadium and building a replacement stadium downtown by the Spokane Arena. They're considering moving the timeline for the construction of new school up by three years. And they're considering expanding and rebuilding libraries to make room for school option programs. However, plenty of work needs to be done to move this from the "idea" stage to an actual plan. There's a reason, after all, that the city and school district typically don't partner in this way: When they do, it can mean more bureaucratic hurdles. "It takes a lot of work and a lot of diligence," Romero says. For Spokane Public Schools, the original plan for more school space involved sending a bond to voters in 2021. That would allow the district to build the schools they need to accommodate the new grade configuration of sixth graders moving to middle school, which was done do help comply with the statewide mandate to reduce class sizes. But waiting for a 2021 bond is not ideal, Anderson says. Schools are crowded now. That's why he's considering the partnership with the city, or "Plan B." Because of the Washington State Legislature's decision on school funding, the overall tax bill for citizens in Spokane will drop significantly in 2019. If the district and the city put a joint bond on the ballot in 2018, and it's approved, it could fund projects to build new schools earlier. Taxpayers would still see a drop in taxes in 2019. And by merging the city and district projects, taxpayers would get more for their dollar than if they paid taxes separately for district projects and city projects. Anderson emphasizes they're still at the "20,000-foot idea stage," and the details of these ideas haven't been worked out yet. But one idea involves building a new middle school right next to Joe Albi stadium. The district would have to downsize the stadium from 30,000 to 7,000 seats, though rarely is the stadium full. But in discussing that idea, another idea popped up, Romero says. "Everybody agrees [Albi] is not centrally located and it's not connected to dining or lodging or other amenities. 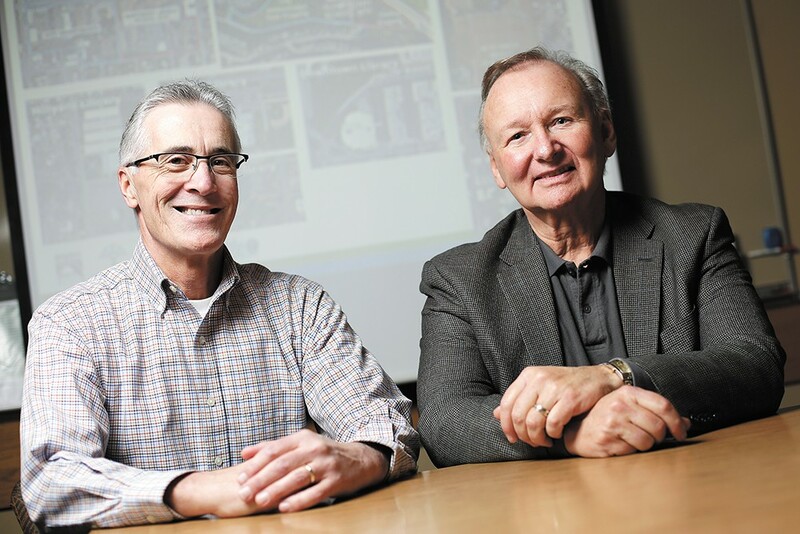 Does it really make sense to make a major investment in a 1950s-era facility?" Romero says. "Or would it be smarter to look at coming downtown and creating a whole new stadium?" The stadium downtown, theoretically, would be built by the school district, across from the Spokane Arena on the east side. And it would be just north of a sports complex (or "sportsplex"), a city project that's inching closer to being funded. "The concept of having a stadium facility there would enhance the value of the sportsplex," Romero says. In that scenario, Albi might be demolished completely at its current site, and Merkel Sports Complex would expand into the space along with the new middle school. That middle school could be in addition to a new middle school at the North Foothills location, and another new school (either an elementary or a middle school) at Qualchan, off Highway 195. The school district is also looking at partnering with the Spokane Public Library. The Shadle Library would be expanded, the downtown library modernized, the northeast library could be rebuilt and a new South Hill library built at a different location. By doing so, it would allow space for option programs, like the Community School, a project-based high school, or the district's new Spanish immersion program. The benefit to the library? "Getting students used to library services," says Andrew Chanse, Spokane Public Library executive director. Knowledge of public libraries, he says, is typically handed down by generations. Again, these are just ideas at this point. But they're ideas that could save everyone money, officials say. "If we were thinking independent of one another, we were probably missing the opportunity to look at where we could merge programs and space so the citizens would get more return for their money," Romero says. There's more than one obstacle standing in the way of these ideas. "You're looking at partnering across multiple boards or public entities here that all have to get aligned around a grand vision," Romero says. There's separate boards for the library, the parks department, the school district, the Spokane Public Facilities District and the Sports Commission. And then, of course, there's the Spokane City Council and the mayor. Romero and Anderson presented the ideas to the school board last week, and the school board was supportive. In the next few months, they'll continue sharing the ideas with the community, while studying the details of each idea — the legal aspects, the costs, the feasibility. To take advantage of the drop in the tax rate in 2019, the goal would be to put a bond on a ballot in late summer or fall of 2018. The original print version of this article was headlined "Putting Heads Together"